This little Uke is based on a style that Lyon and Healy made in the 1920’s. 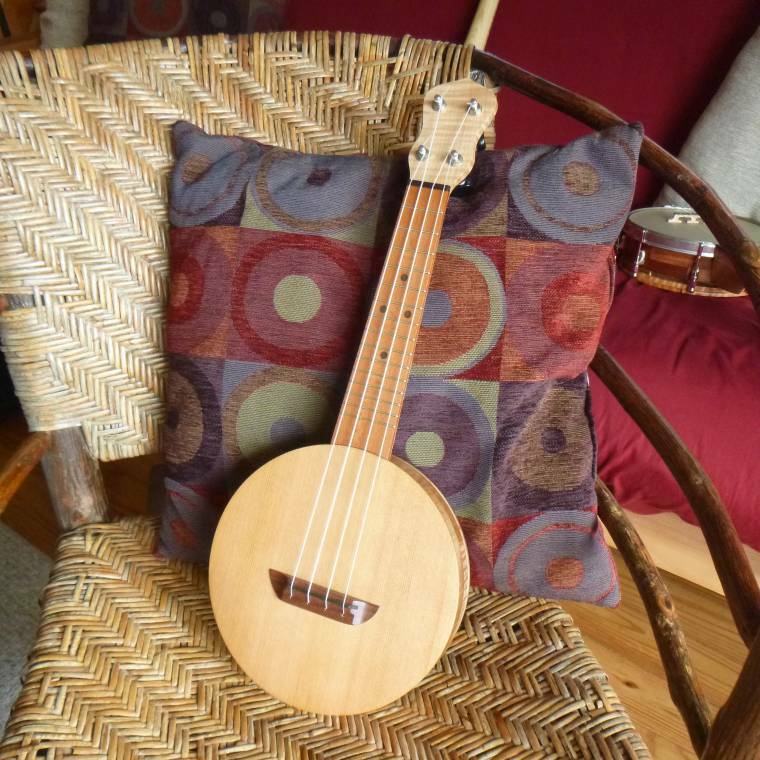 It walks the line between a banjo uke and a traditional uke. 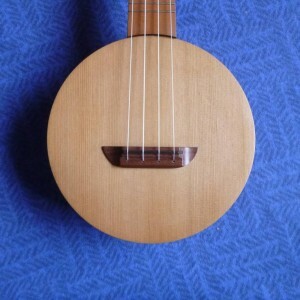 Lyon and Healy made it in three different iterations: no sound hole with a suspended resonator, with a sound hole and turned resonator (back) glued to the body, and a round body with sound hole, flat top and back — the most uke-like of the three. I based this uke on the most banjo-like model (what a surprise) with a block rim, no sound hole in the top and a lathe turned, suspended one piece back. 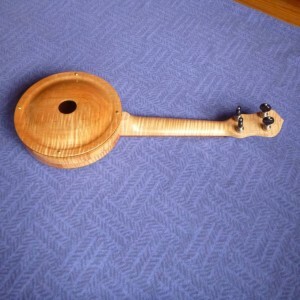 The first one of these went over to Acoustic Corner in Black Mountain, NC where it found a home in a matter of days. Stay tuned for more of these to come, perhaps based on another of the 1920’s models.